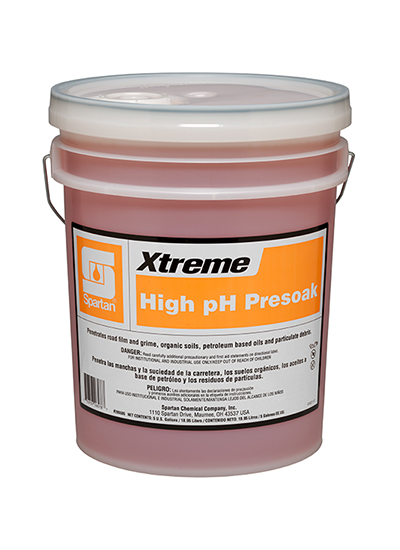 High pH Presoak can be used as a primary presoak or as part of a 2-part presoak process. Effective on road film and grime, organic soils, petroleum based oils and particulate debris, High pH Presoak can be applied through an arch or manually through a spray wand. Recommended for use in conveyor or in-bay automatic wash systems; great for friction or touch-free.